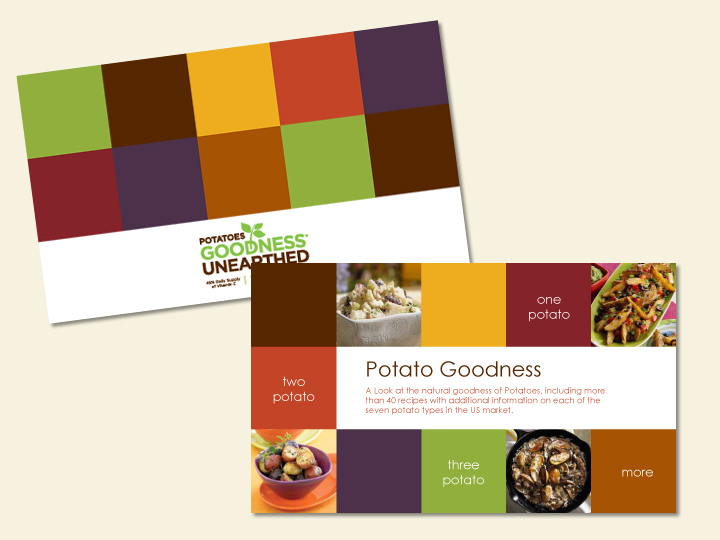 “Potato Goodness” is a specialty cookbook filled with potato facts and recipes that was created for the U.S. 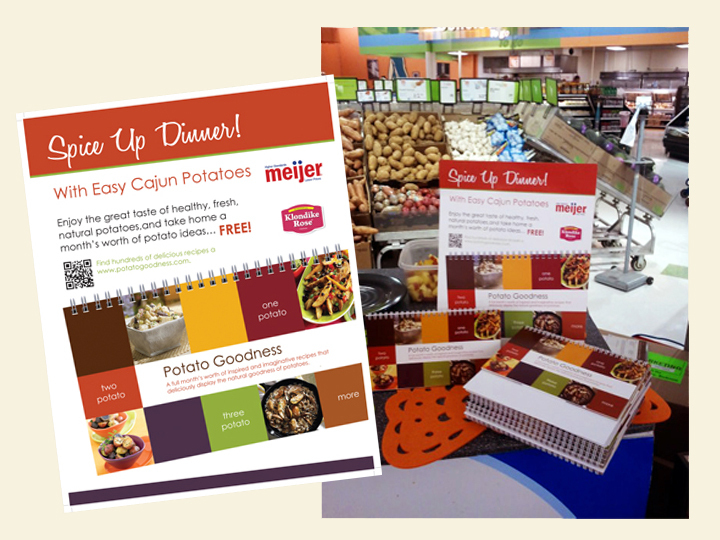 Potato Board and utilized in a marketing campaign by Shop-n-Save. The campaign was later picked up by Meijer in the Midwest and used for in-store demonstrations with the cookbook on-hand for shoppers. 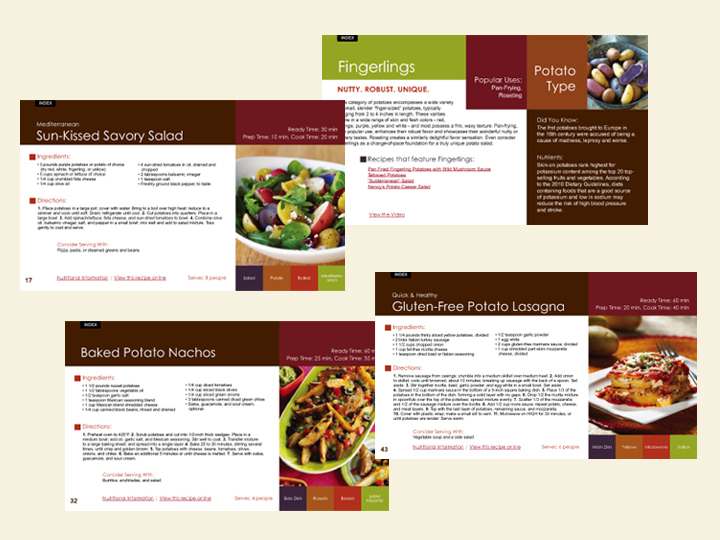 The cookbook campaign was developed by Don Ladhoff of Fresh Smart Solutions who applies his retail knowledge and industry experience to create unique marketing solutions for his clients. Christine Walker, 23Seeds, provided Creative Direction and Courtney Van De Burg, Lynx Imaging, provided the design and production for the book. This piece coordinates with a larger, more general campaign for the U.S. Potato Board.